The Eatwell Guide is very useful for checking how much of what foods we should be eating on a daily basis. This guide clearly explains what food groups there are and how much we should be eating from each of these different food groups. 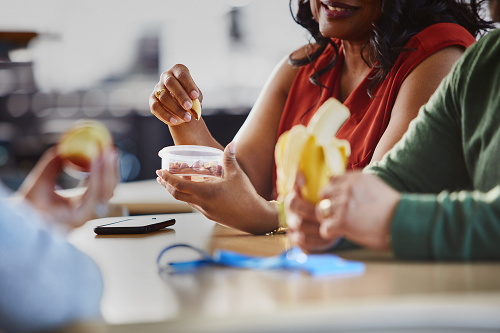 A healthy balanced diet is the most important thing in order to keep your energy levels up throughout your day, but there are some key things you can focus on to get more energy from your diet. Find out more about the energy ‘diet’ and what you can do to get the most from what you eat. You can contact One You Merton to help you eat well and feel more energised by calling 020 8973 3545, e-mailing oneyou.merton@nhs.net or visiting our ‘Eating’ page.